Each family history clue can be helpful in finding the next discovery. In searching for my great-grandfather, William Thomas Welch, an 1860 census, although originally only a potential match, provided a number of clues that helped in the search to find him and his whole family. That census listed Robert and Sarah Welch and their four children: Bashuba J (8), James A (6), Mary E (2) and Wm T (4 of 12 months). The only clue I had to go on in that census was the abbreviation for his full name and the age being approximately accurate. I was, unfortunately, unable to find any later documents on either Robert and Sarah Welch, or any of their children other than for William Thomas after he married Mary Monroe “Mollie” Sanford. This past July , on our visit to the Fayette County Courthouse, Kay and I found estate administration documents for Robert Welch that confirmed what had before been only his suspected death before the 1870 census, gave an approximate date of death [“Robert Welch Departed this Life more than Forty Days Since” – January 27, 1862 was the date of the document], and gave additional or clarifying information on names: we learned Bashuba’s middle name was Jane; James’ middle name was Alexander, Mary E’s middle name was actually Isabella rather than something that started with an ‘e’, William’s middle name was Thomas, and the administrator’s name was James Farquhar. As I was searching for more source documents by using those clues, I noticed a family listed on an 1880 census with the wife/mother’s name of Basheba. That is such an unsual name [I assume it, and Jane’s, to be a misspelling of the biblical name of Bathsheba] that I decided to invest the time to track that family backward to see if they had a daughter named Sarah of a similar age to William Thomas’ mother. There was likely only one option to find that information – the 1850 census; the reason for that was that prior to 1850, the censuses only listed the name of the head of household and after that Sarah was married and would be identified only with her new name and family. When I found the 1850 census, sure enough, they had a daughter named Sarah the approximate same age as William Thomas’ mother. During that whole search, I was only tracking the name Basheba and had not even noticed the last name; however, upon looking at all my documentation, I realized the last name was Farquhar – the name of the administrator on the Robert Welch estate and a name/clue I might not have gotten around to following for a long time since I was unaware of any family connection. In observing the neighbors on the 1870 census page that listed the Farquhars, listed right below them were James and Sarah Jackson and their four children, Jane (18), James (16), Isabel (12) and Thomas (10) – that’s obviously Sarah A. Farquhar Welch Jackson and her four children [even though the census enumerator listed them with the name of Jackson]. I then found a marriage for Jane Welch and Hesikiah Anderson on January 18, 1883 as well as a 1900 census with Hesikiah and Jane Anderson and their daughter, Lucy J, born about 1886. Then I found the 1880 census listing Jane Welch living as a boarder with Hesikiah and Nancy Anderson; she was also living next door to her brother William Thomas’ wife’s brother, Rufus Sanford, his wife, and two children. As I stated at the beginning, each clue can be helpful in finding the next discovery. Had I not had the 1860 census that listed the oldest child’s name as Bashuba, I would never had been aware of the similarity of that unusual name in a presumably unrelated family on the 1880 census. Had I not had the clarification of Jane as her middle name on the estate document, I would not have had confidence it was her on the 1870 census when her name was erroneously listed as Jane Jackson – her stepfather’s name, and I would not have known to accept the clue of a marriage between Jane Welch and Hesikiah Anderson, nor to have found her living as a boarder in his home in 1880. Without tracking the siblings of extended family, I also would not have known the extra validation that she was living next door to her sister-in-law’s brother and thus further connecting her to her family. This morning, I was looking through some photos posted on a second cousin’s website [Sarah Clayton Hood who received them by way of her cousin, Cecelia Sue Leigh, daughter of Susie May Clayton Leigh]; there was a photo identified as Jane Anderson. Without all the research listed above, I would not have understood who she was. 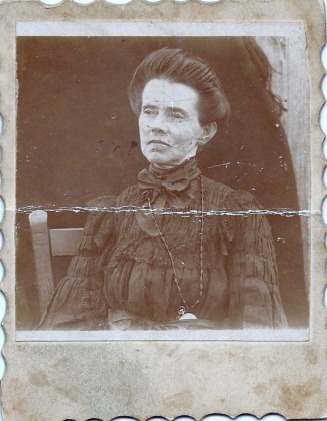 So here I present the photo of Basheba Jane Welch Anderson, sister of William Thomas Welch and my great-grandaunt. Although I do not have a date for the photo, it is evident from her clothing, hairstyle and necklace watch that it is a photo from somewhere around the turn of the century. My great-great-grandfather, Asa L. Sanford, was born in Alabama on August 7, 1825 as the oldest child of Jacob T. and Sarah “Sally” White Sanford. 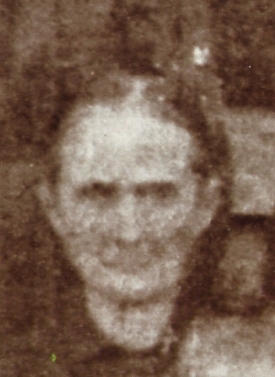 His first wife was Sarah Gean, according to the marriage license and certificate, with the marriage taking place in Lincoln County, Tennessee on May 20, 1846. They had one known child, a son, William Rufus, born January 19, 1847. Sarah died sometime before 1850. 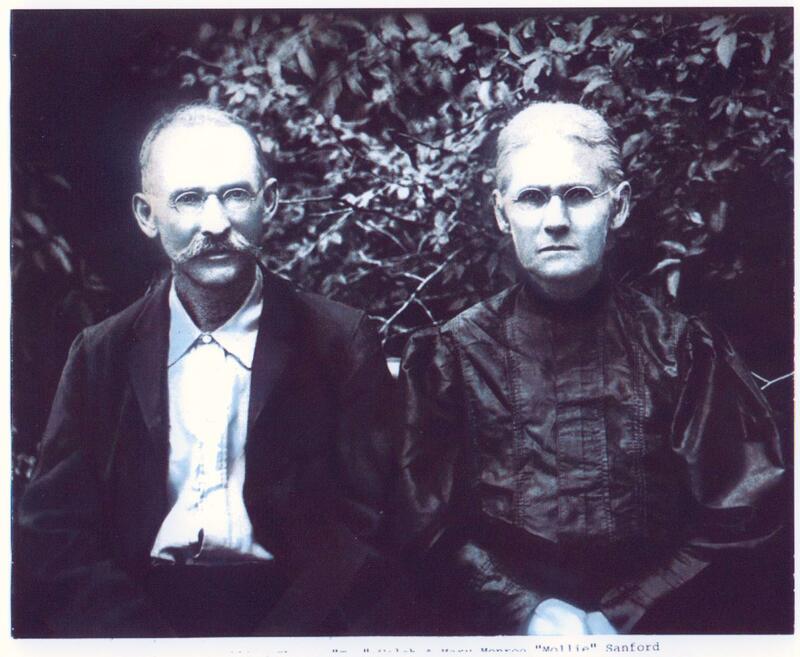 Asa then married Martha Ann Jean; family tradition states that Sarah Gean and Martha Ann Jean were sisters. The marriage license and certificate list the second marriage as occurring in Lincoln County, Tennessee on April 30, 1850. 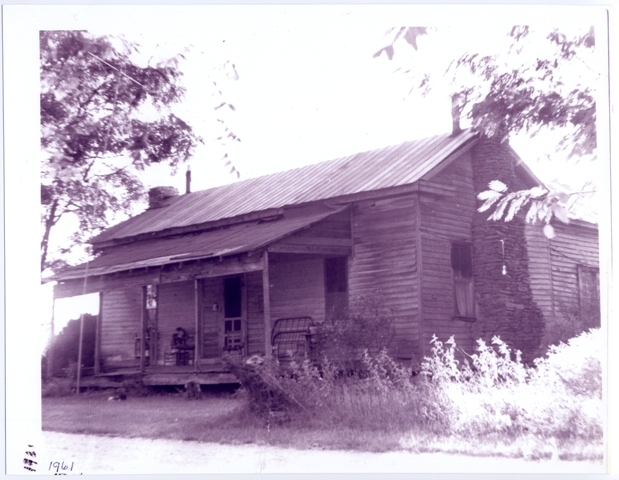 They soon moved to Tuscaloosa county where Asa and Martha Ann had seven children: Sarah Emeline, Joseph Larkin, Mary Monroe “Mollie” [my great-grandmother], John Wiley “Tippy”, James A., Jessee, and John. Family tradition also states Asa concurrently maintained a long-term relationship with Ruhama Oswalt with whom he bore three children: John Thomas Oswalt, Celia Ann Oswalt and Sarah Jane Oswalt. 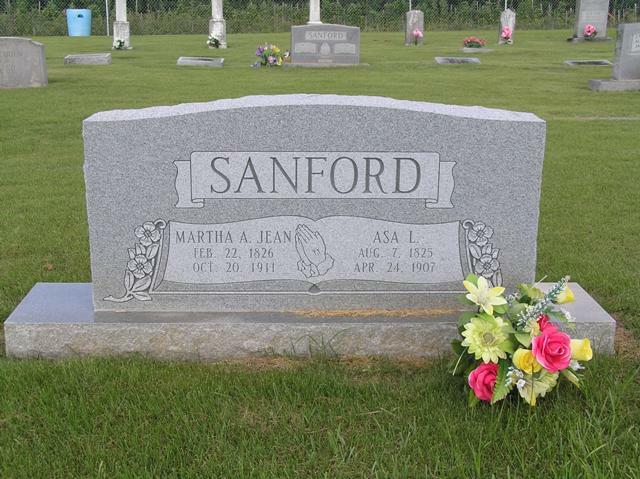 Ruhama is buried in the same cemetery as Asa and Martha Ann. On a July 4, 2010 visit to Alabama, my daughter and I stopped by the cemetery where Asa and Martha are buried – El Bethel or Buncomb Cemetery near the border of Tuscaloosa and Fayette Counties and took photographs. 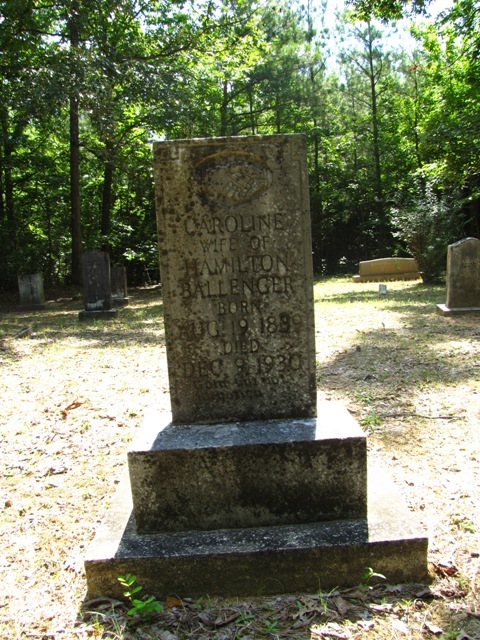 A great-grandson, Bill Starnes, ordered a new headstone when he was unable to find one while visiting during a recent family reunion; that is the headstone in the photograph. Our family has no photographs of Asa or Martha Ann or any of their children. If anyone has photographs, we would so love to see them. We’d also love to hear any family stories that would help us know something more personal about who they were. Much of the information on the Sanford family [other that what could be gleaned from census and marriage records] has been provided to me by Howard Hallman and Dennis Gurley – many thanks to them. 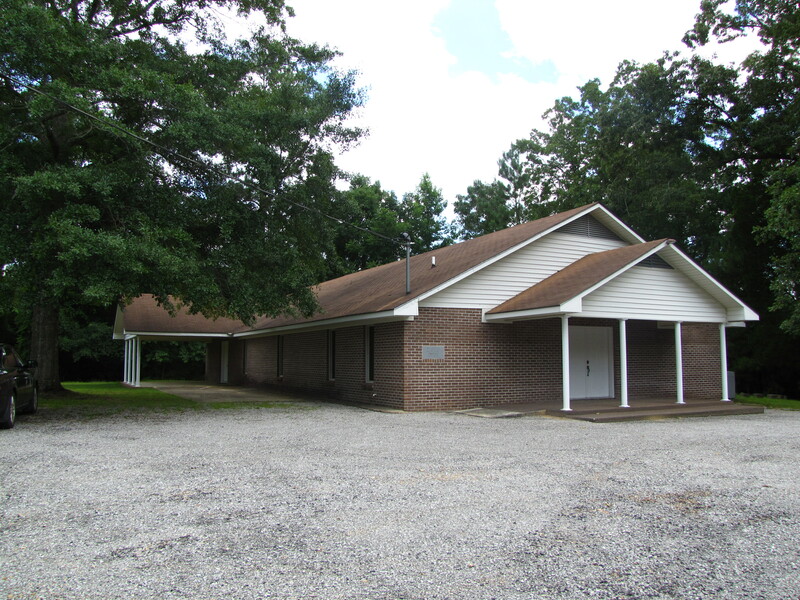 The Sanford family holds regular family reunions; there is one that will be held in Tuscaloosa tomorrow, August 8, at the Northport Community Center. 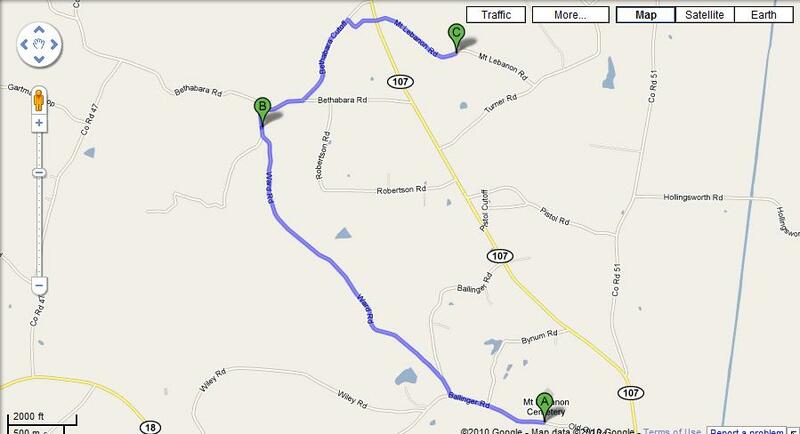 The time is from 10:30 a.m. until … and instructions are to bring a covered dish and family photos and stories to share. I would love to be there to visit and learn more. Asa died April 24, 1907; he had lived 81 years, 8 months and 17 days. It’s sometimes very difficult to discover the maiden name of a long ago ancestor – and accordingly, the names of her parents. Last night I serendipitously came across a clue and, upon following it, was rewarded with finding not only William Thomas Welch’s mother’s maiden name, but her parents and siblings, her new husband’s name and the 1870 census listing of William Thomas and his brother and sisters. As mentioned in the previous post, Tom’s older sister’s first name was Bashuba [middle name Jane, as culled from other sources]- a probable misspelling of the biblical name Bathsheba. As many censuses as I’ve looked at, it’s not a name I remember seeing before. As I was looking for additional information on Tom’s brother and glancing at the families on the pages before and after the page where James Alexander was living, I noted a family whose names were James and Basheba Farquhar. In earlier time periods, families oftentimes used naming conventions for the names of their children, which generally included names of parents and grandparents. Since Sarah Welch’s first two children were named Bashuba and James, I thought that might not be a coincidence and started searching earlier censuses to see if I could determine if James and Basheba had a daughter of a similar age named Sarah. Due to the death of Robert in December 1861, the only census available for Robert and Sarah was the 1860 one, which meant there would be only one earlier census to search that would contain any family members’ names other than the name of the head of household – the 1850 census. Fortunately, when I found them in the 1850 census, the first child listed was a Sarah who was born at the approximate time of my great-great-grandmother. At that point, I was pretty sure I’d discovered my great-great-grandparents’ names to be James and Basheba Farquhar. I moved forward to the 1860 census to locate any additional children they may have had and found eleven all total: Sarah, Polly, Andrew J., Martha, James, Elizabeth, America, Lavina, John Thomas, Amanda and Helen. 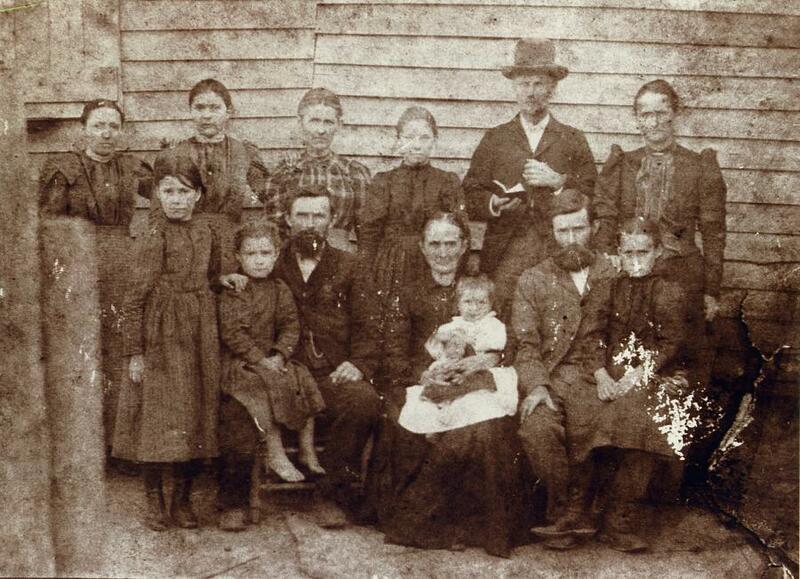 When I found them on the 1870 census, I discovered the family living next door to them was a James Jackson and his wife Sarah who just happened to have four children named Jane 18, James 16, Isabel 12 and Thomas 10 – my great-grandfather and his family! The reason I’d never been able to find Sarah and her four children was that she had remarried and the census taker had listed the children without adding their last names, which meant they would be interpreted to be Jacksons. As further evidence that I was not just reading things into the census documents that were merely coincidental, the estate documents we found in the court records were about naming an administrator for the estate: the named administrator was James Farquhar – his unstated relationship being that of the widow’s father. 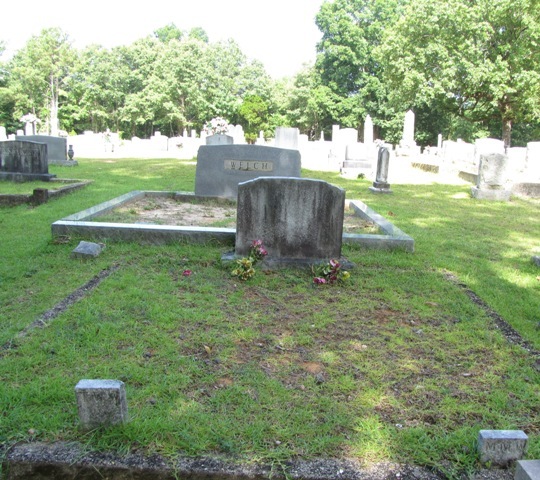 I then searched the Fayette County cemetery webpage and discovered, based on the unusualness of the name Basheba, that James and Basheba are buried at Mount Pleasant Baptist Church Cemetery in Fayette County. Although there is a grave for a James Farquhar, the birth dates are a little different from what the census data might lead me to expect and, consequently, uncertain as to the strength of such identification; but the burial of a Bashuby Farquhar offers a more substantial clue that is where they are buried. Two of Sarah’s brothers are also buried there, Andrew J., having died as a member of the 26th Alabama Infantry, Company A, and James J., having died as a member of the 41st Alabama Infantry, Company H.
My great-grandfather, William Thomas Welch, died 71 years ago today. Until recently we didn’t know much at all about him [or his wife, Mollie Monroe Sanford]; we still don’t know a lot but our information base is growing. All I’d found prior to that 1880 census was an 1860 census that listed a Wm. T. Welch as a 4-month-old son of Robert and Sarah A. Wech. There were three other children: Bashuba J., 8; James A., 6; and Mary E., 2. Although the abbreviation for William and the middle initial T as well as the age were a good fit for my great-grandfather, I couldn’t be positive on that information alone. On a recent trip to Alabama, after almost ten years of research, we finally got confirmation on who Thomas’ father was. Because I hadn’t found Robert or Sarah in any censuses after the 1860 one, my assumption was that Robert had died and Sarah probably remarried. At the Fayette County, Alabama courthouse, we found estate administration documents for Robert Welch who died about December 1861 and that listed his widow as Sarah and named the children as Jane 10, James Alexander 8, Mary Isabell 4, and William Thomas 2. Those names and ages [though not identical] were similar enough to the 1860 census that I had the confirmation I’d desired regarding his family. The 1900 census gave us the names of nine children born to Tom and Mollie and the 1910 census told us Mollie had borne nine children and nine were still living – Mellie J., James W., Nathan A., Martha A., Jessie E., Dena B., Lovie B., Fennie E. and Mentie M.
I found the burial location for Thomas and Mollie through an Itawamba, Mississippi genforum – they are buried at the Union Grove Cemetery in Tilden, Mississippi. On our return trip from Alabama we stopped at the cemetery to visit their gravesites and take photographs. Our early information on my great-grandmother listed her middle name as Mouro; I’d begun to find information to suggest her middle name was, in fact, Monroe, so it was good to find confirmation of that name on her tombstone. The foot of the gravesite for their son, Jessie Ellis, and his wife abuts Tom and Mollie’s headstone. 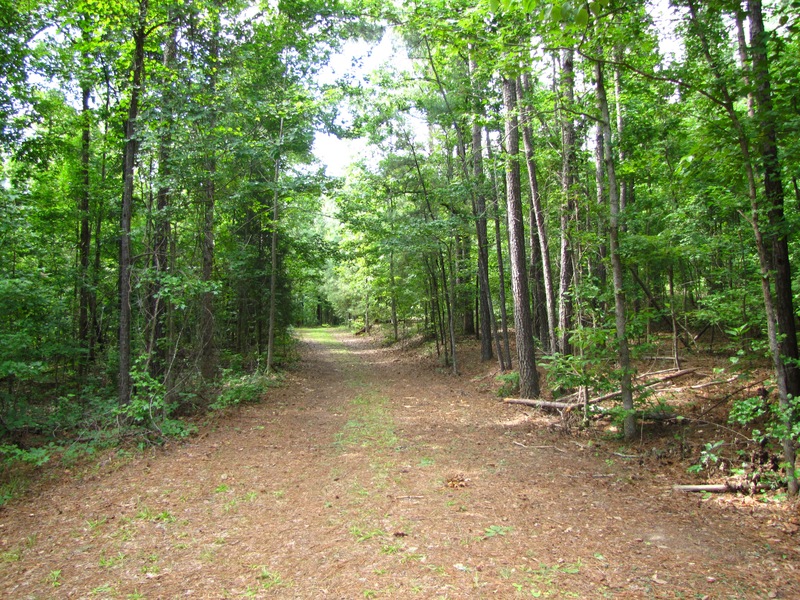 I also took a photograph from the foot of their gravesite looking toward their son’s site. While we were in Alabama, I received an email from a second cousin researching the Welch line who found me online. She has been putting up a website with what she has learned about her side of the family, including photographs and sent me an invitation to view it. After I returned home, I started going through her website and I found some old photographs apparently taken at an unidentified grave. 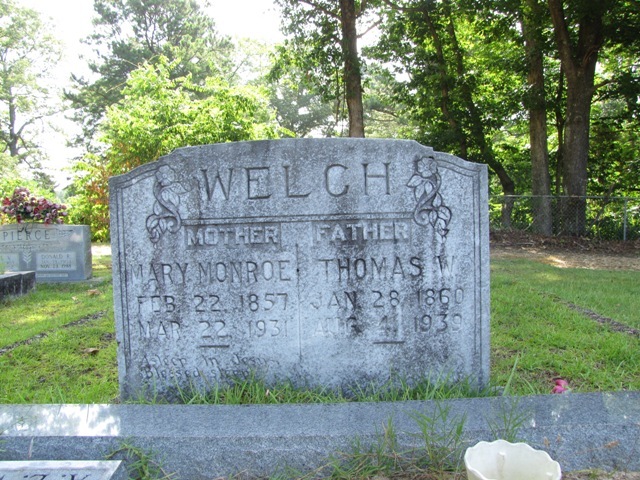 Since we had just been there, I was able to identify the grave site as that of Tom and Mollie Welch. Mollie died in 1931 and Tom died in 1939. Since the grave on the left side in the above photo is newly dug, it would appear this photo was taken soon after he was buried. There was also a photo of some of his family at the foot of the grave – not all of the people in the photograph were identified and some had only first names, which leaves me to guess at who they were. 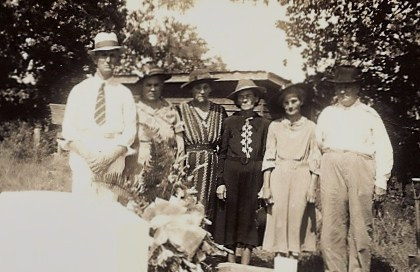 The identified people (right to left) are James William (Jim) Welch, Martha Ann Welch Clayton, Lovie Bell Welch Dulaney and Fennie Essie Welch Robertson. The next woman is unidentified and the man on the left end is identified as Ernest. Since Lovie’s husband’s name was Ernest, I consider it reasonable to assume Ernest is Lovie’s husband. If that identification is correct, it is feasible the unidentified woman is Jim’s wife, Pearlie Bynum Welch. Because Kay and I have found no Tom and Mollie and only a few of any of their children, it was quite a pleasure to find these photographs of the gravesite taken within days of his funeral and of four of their children. If anyone has further clarifying information on these people [or additional photos of any of this Welch family] I would love to hear from you.